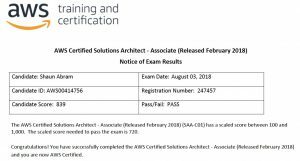 Overall, was the exam prep worth it? Definitely yes. 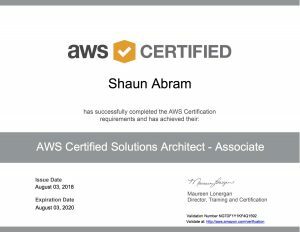 My objective was not the certification, but simply learning more about AWS, and I definitely achieved that objective. 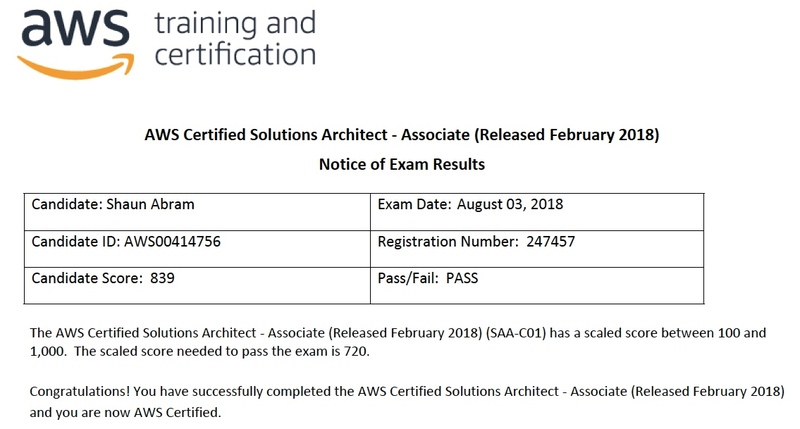 I went from having a vague understanding of what a VPC is to having both a good high level understanding (a virtual network with the AWS cloud; your own virtual data center!) 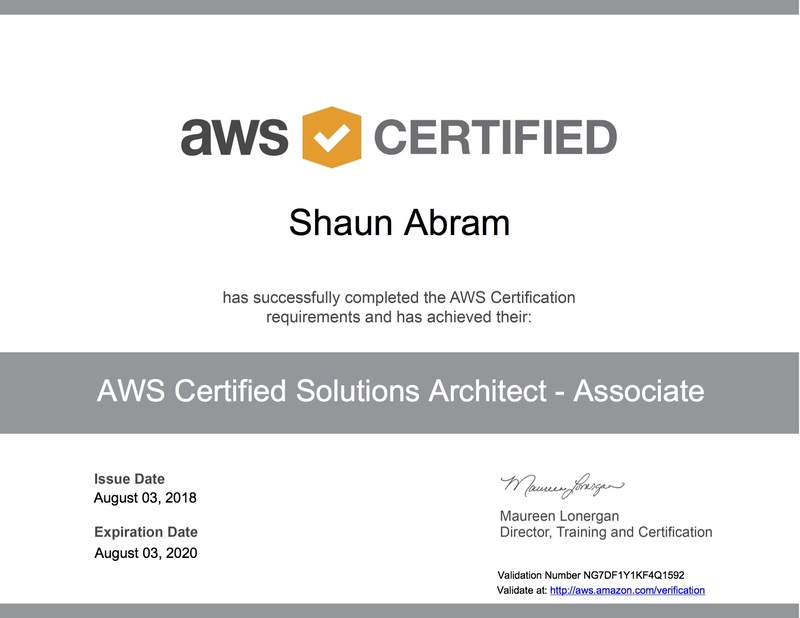 and a detailed understanding of it, including being able to build a VPC from scratch, complete with multiple subnets in multiple Availability Zones, using Internet Gateways, Route Tables, Bastions and NAT Gateways. Despite having used S3 before, I still learned a lot more about it too – a better understanding of the different storage classes and their different durability and availability targets, as well as the various encryption options. Other topics included EC2, EBS, SNS, Route53 (DNS) etc etc. Sure, some of the material I learned just for the exam and won’t likely use again (e.g. SWF actor types, or the default visibility timeout of an SQS queue), but overall, definitely worth it. « How long to transfer a file of size X over a Y Mbps line?